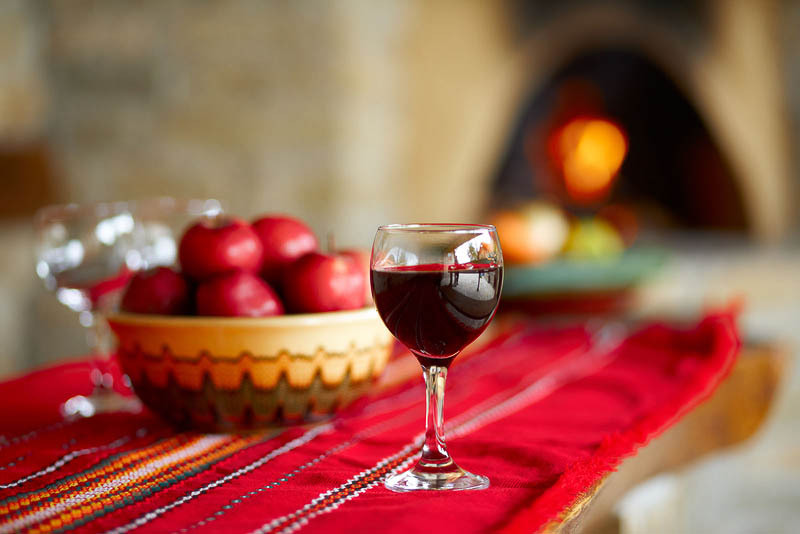 Glass of red wine on restaurant table, behind fireplace. Alcohol drink. Still-life with glass of old red wine and bowl with fruits on table. Beverage for wine-testing on table in winery. Liquid in wineglass. Food and drink in restaurant.